Helen Potrebenko marked the second anniversary of her participation in a lawful strike at English Bay to earn a first contract for SORWUC workers at the Muckamuck Restaurant on Davie Street with the publication of Two Years on the Muckamuck Line (1981). The ‘white’ owners of the first restaurant in Vancouver to exclusively serve First Nation West Coast cuisine ultimately left Vancouver in the strike’s third year. At least five workers were fired around the time the union applied for and received certification. The owners allegedly refused to negotiate. The restaurant closed in 1980. It reopened as the Quilicum Restaurant in 1985, with new First Nations management. Quilicum means “return of the people” in Chinook but it,too, eventually closed. The labour dispute lasted from 1978 to 1983. 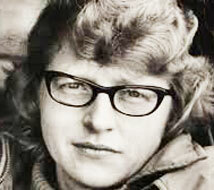 Helen Potrebenko, one of Vancouver’s most uncompromising feminist writers, was born on June 21, 1940 in Woking, Alberta. After arriving in Vancouver to attend university, she documented the struggles of a female cab driver to earn a living in her novel Taxi! (1975). “It just never occurs to them we’re people and not zoo animals to be stared at,” the narrator writes, “and that we have feelings and don’t like being prodded and mauled by thirty different guys in one day.” Potrebenko’s second book, No Streets of Gold (1977), is a social history of Ukrainians in Alberta. 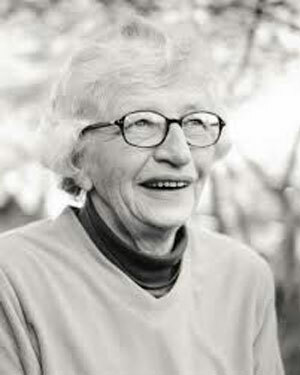 Her collection of fiction and other writings, A Flight of Average Persons (1979) voiced her pride in the dignity of working class lives, particularly women disadvantaged by a patriarchal society. The title poem of Potrebenko’s first book of poetry, Walking Slow (1985), affirmed her determination to keep picketing at the Muckamuck’s location. 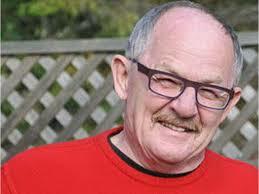 “The Muckamuck hired scab labour and tried to keep the restaurant open,” says Potrebenko. “Sometimes they were assisted by outside goons. When the owners finally left town, the Labour Relations Board bestirred itself to order the Muckamuck to pay a token $10,000 because of its illegal activities. This could never be collected. We’ve never officially called the strike off,” she wrote. On February 21, 1978 the Muckamuck employees applied for certification to form Local 1 of the Service, Office and Retail Workers’ Union of Canada. On that day, the Union organiser and Muckamuck employee, Cay Jung, was fired. After Union certification, on March 21, four employees were fired or allegedly intimidated into quitting: Ethel Gardner, Loretta Hill, Rey George and Vikki Peters. Sometimes They Sang (1986) is Potrebenko’s novel about a picket line as well as a dissertation about displaced rural populations. 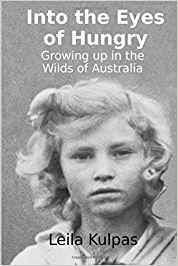 In 1989 she published Hey Waitress and Other Stories, following in 1999 by Letters to Maggie, a series of letters about work, aging, literature, culture and homelessness. 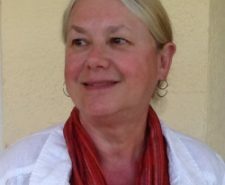 They are addressed to her long-time friend, social activist and feminist Maggie Benston, to tell her what’s been happening in the world since Maggie Benston’s death in 1991. 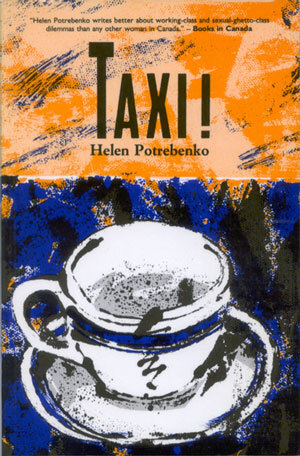 As well as driving cab, Potrebenko made her living as a lab technician, office temp, legal secretary and bookkeeper. Cover art for the 1989 New Star Books version of Taxi! 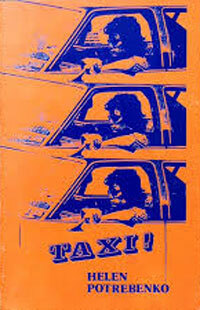 The original cover art for Taxi! 35 years after Taxi! first revved up Vancouver literature, a gathering will be held at the Vancouver Public Library on April 29, 2010 of readers and writer/readers to celebrate this fine novel. We welcome all to come and acquaint or reacquaint themselves with this book. A diverse group of local writers will read excerpts and offer comments including Julianne Okot Bitek, Penny Goldsmith, Annabel Lyon, Marina Roy, Anakana Schofield & Cúán Isamu, and Clint Burnham. When a woman earns her living driving oil executives to the Vancouver airport and the unemployed around Skid Row, she runs head on into every social and political problem facing Canadian society. Taxi! is a novel as fast-paced as the ticking of a taxi-meter.